1. Create a Budget: This is the most important aspect of planning a trip. Budgets can be detailed or broad. The kind of budget depends on the kind of person you are. Regardless of how meticulous a person you are, budgets help you understand the amount of money that can be spent, which subsequently aids in deciding the mode of travel, accommodation, food etc. 2. Pack your essentials: Most often we tend to go overboard when it comes to packing, catering to every pre/post-apocalyptic situation. Soon we realize that most of what we carried weren’t even required. A good understanding must be obtained of the essentials required, and those essentials must be carried otherwise a lot of money, time and effort are wasted lugging around extra baggage. 3. Be smart while booking flight tickets: A lot can be said about flight tickets. This is where the majority of the budget gets used. For a first, book flight tickets early. No matter how clichéd this might sound, early bookings are most often the cheapest. The longer and usually costlier routes can be exploited using early bookings. Cheap flights from Delhi to Bangalore, which is a 2hr 45min flight, can be bought using such early booking. Booking portals keep track of your cookies and server details; this often causes a large fluctuation in prices. So be smart while using your devices. Try your best to look for deals. If you are a frequent flyer to an airline, you can also utilize their loyalty rewards program. 4. Eat cheap: Cheap food is not bad food. While fancy restaurants are incredibly attractive, the traditional cuisine has a far greater presence on the streets. While you must be careful when consuming cheap food, it is almost always a better alternative in terms of taste and value for money. 5. Make your own food: Eating cheap is one option, making your own food is the other. This is especially beneficial while travelling in a group. Purchasing groceries and other materials and cooking by yourself will help save a significant amount of money. 6. Accommodation: This is one of the most important aspects of planning a trip. There are a few points to keep in mind while booking accommodation. The first is to book by necessity, the second is to check the locality, and the third is to remember that the reviews are far more important than the looks. Shared rooms, private rooms, resorts are all trending nowadays and are doing far better than hotels. These are cheaper and in most cases, offer a more homely experience as compared to hotels. You can also try to combine your flight bookings with your hotel bookings; this tends to reduce the overall cost of your trip. Cheap flights from Delhi to Bangalore can be combined with reasonably priced hotels to give an overall reasonable package. 7. Don’t fall prey to tourist bait: Remember, when you’re travelling to foreign lands, you will look like a tourist no matter what. Remember always to keep your options open and survey before buying anything. 8. Transportation: Almost all major cities have efficient public transport systems. These are a much cheaper and better alternative to taxis. Getting a day or a week pass makes travel very convenient. Also, walk to whichever place possible and only in the rarest of occasions should taxis be an option. 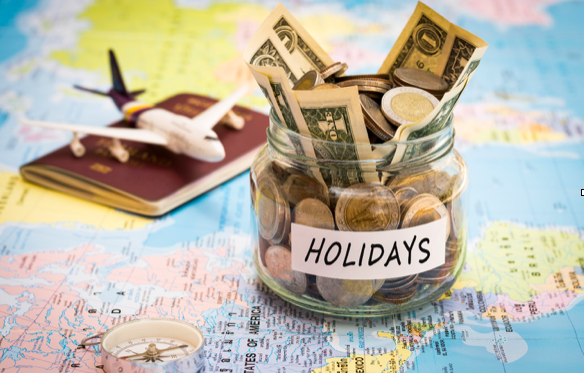 The few points mentioned above can help you save money on your travels. Although individually they may help save small amounts, it all adds up to big savings. So, use them well the next time you plan your trip and have fun. Respectfully, most of these points (except 7 and 8) are too broad and do not give the reader specific, applicable advice. I also disagree with the budget part, though this is just my personal experience and YMMV based on your personality inclinations. I recently traveled around most of Asia with my fiance, and we were able to do so while spending around $1k/mo. Rather, the mindset we adopted was to book accommodations and travel based on our minimum comfort requirements, and to save every penny within reason. Pennies add up to dollars, which add up to hundreds of dollars over time. We would only splurge when it presented a massive value for money boost. Re: 2), I’ve found skyscanner and google flights to be best. In skyscanner, enter in your departure and destination, then select “Whole month” for the date. It’ll bring up a list of destinations sorted by the cheapest price, then a calender with the lowest prices of that route for the whole month. If you haven’t decided where to go yet, you can select “Everywhere” as the destination and find the cheapest routes available. 7) Is good advice. I would like to add that, while it may be tempting to travel to “check the boxes” of a given destination, often it is more rewarding to go off the tourist trail a bit. Taking time to savor the view instead of rushing from one tourist mecca to the next in order to get a good instagram is the more memorable approach. Messenger from the deep: Is beached fish a warning of coming earthquake?